The body uses ACL further upstream in the same cholesterol synthesis process that also employs the enzyme targeted by statins, known as HMGCR, the researchers said in background notes. A study of about 655,000 people found that people's ACL and HMGCR scores were associated with similar patterns in LDL cholesterol levels and similar effects on heart disease risk based on those levels, the researchers said. Ference conducted this study. Based on this, the researchers decided to test how well a drug blocks the ACL would lower cholesterol levels in the average person. ,488 people with high LDL cholesterol despite being on high intensity statin therapy. Another 742 statin users received a placebo. After a year, the bempedoic acid lowered LDL cholesterol levels by 18 percentage points, the researchers found. The most worrying adverse event was the incidence of gout, which brought 18 patients with bempedoic acid to exit the trial, compared to three placebo patients, Holmes and Eckel said. Gout occurs when uric acid levels increase in the bloodstream beyond the ability of the kidneys to remove the harmful by-product. High levels of uric acid cause the formation of crystals in the joints, producing inflammation and arthritis. "This interruption due to gout is something that needs to be further explored by further studies," Eckel said. "This could end up being something on the package insert that could affect prescription patterns." For example, the bempedoic acid may not be better prescribed to people with gout or with already elevated uric acid levels, he said. The American Heart Association / American College of Cardiology has updated the guidelines on cholesterol treatment in 2018 with the main focus on statins, which are inexpensive and proven. 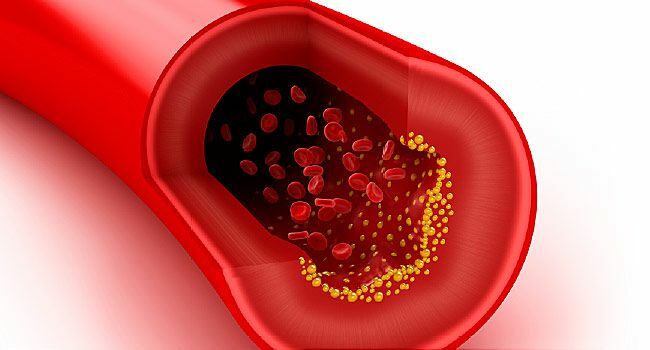 But the AHA and ACC have also allowed ezetimibe and PCSK9 inhibitors to play a role for people whose cholesterol remains elevated despite statin therapy. "In the context of patients at high risk of disease who are at the highest doses of statins, additional lipid-lowering drugs will lead to an additional reduction in the risk of cardiovascular disease, as we have seen with PCSK9 inhibitors," said Holmes.